PocketFullOfApps | ‘Max Payne Mobile’ App Released! ‘Max Payne Mobile’ App Released! Video game players become dedicated fans of certain series. You’ll find passionate Mario Brothers fans decades after their first release. Same goes for Final Fantasy, Badge of Honor, Doom, and any of the myriad other huge names in the gaming world. For die-hard video game fans, the name Max Payne brings up visions of thousands of hours of joyful destruction. The original Max Payne game was an action-packed shoot-em-up blast of gameplay, with incredibly cinematic effects. Video gaming has expanded and improved quite a bit since the first Payne game launched, with an increased focus on the limitless possibilities of the various mobile platforms. Rockstar Games has taken on mobile gaming with one of their most beloved titles, by announcing that Max Payne Mobile is now available. Gamers can find it in the App Store, with versions for the iPhone, iPad and iPod touch. Sam Houser, who founded Rockstar Games, praises Max Payne as “the original”. Max Payne Mobile is a new platform translation of the original game, and Houser promises it will feature the entire bleak story and fast-paced, crazy gameplay of the original. He also claimed that he was thrilled with the job Remedy, the mobile developer, did on adapting the game, and figuring out a way to portray the classic game in a fresh light. 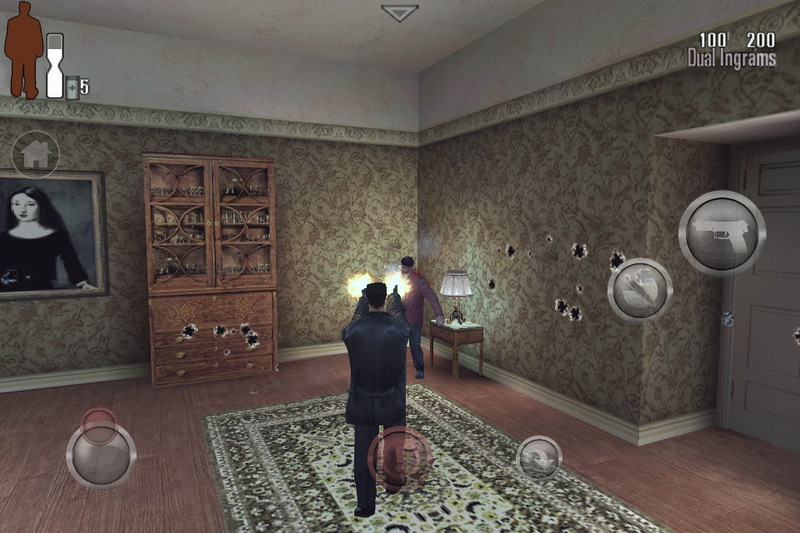 Max Payne Mobile features HD quality graphics, Social Club connectivity, high-resolution textures, and user-customizable controls. It’s been completely overhauled, and optimized for iOS devices. Users can pick it up for just under $3 through their mobile device’s App Store, or in the iTunes Store itself. The game is supported to run on any iPhone version 3GS or later, the iPod touch 4, and any version of the iPad. The original Max Payne video game was released eleven years ago. It’s a non-stop, story-driven adventure about a man on the brink, fighting for justice with a blistering array of weaponry. It’s set in the darkest corners of New York City during the worst blizzard of the century. Max Payne was so successful that it spawned a critically-acclaimed sequel in 2003 called Max Payne 2: The Fall of Max Payne. Rockstar Games will bolster their mobile release of the original with a brand new adventure called Max Payne 3, which will launch on May 15th. That sequel will be available on the Playstation 3 and Xbox 360 game systems. A release on PC will follow on May 29th. If you’d like more information about the upcoming releases, check out the manufacturers website, rockstargames.com. Take-Two Interactive Software is the parent company of Rockstar Games. They’re based out of New York, and are known as one of the top developers and publishers of interactive entertainment around the world. Alongside Rockstar, they also own 2K, which publishes as 2K Games, 2K Play and 2K Sports. Take-Two has already ventured deep into the mobile market, and also release games through digital download and cloud streaming services. Check out their website www.take2games.com to play games for free and learn about some of their other fun releases, like Plants Vs Zombies. You can pickup Max Payne Mobile on the App Store via this link. Entries (RSS) | Comments (RSS) | 87 queries in 0.761 seconds.